Ramat Gan, Israel, January 15, 2019: The Israel Diamond Exchange (IDE), organizers of the International Diamond Week in Israel (IDWI), reports that due to overwhelming registration for the event only a few hotel rooms for participating buyers are available. IDWI is offering eligible buyers three complimentary nights at a local hotel, but organizers warn that late registration will not guarantee free hotel accommodations. 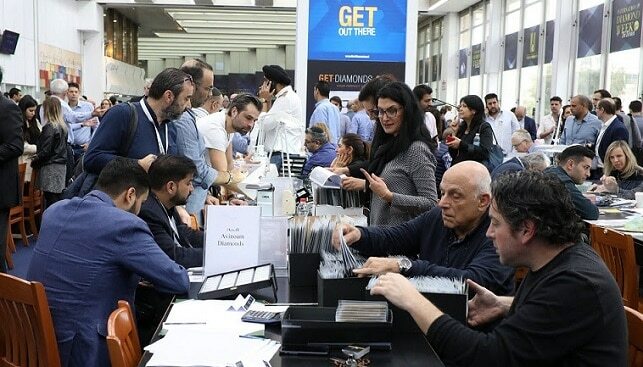 Registration for the seventh International Diamond Week in Israel (IDWI), opening next week, has surpassed that of all previous shows. Close to 500 diamond buyers from more than 30 countries, including a great deal of first time attendees, will attend the three-day event to be held from January 28 – 30, 2019. IDWI, held on the immense trading floor of the Israel Diamond Exchange (IDE), will feature close to 200 exhibitors of polished diamonds, with huge amounts and varieties of goods on offer. Moreover, the event will feature a section devoted to high end diamond jewelry manufactured by Israeli diamond companies, who in addition to loose diamonds now offer top quality jewelry collections. These companies are able to take advantage of Israel’s high level of expertise in jewelry making, creativity in jewelry design and the latest manufacturing technologies, as well as the availability of diamonds and gemstones.